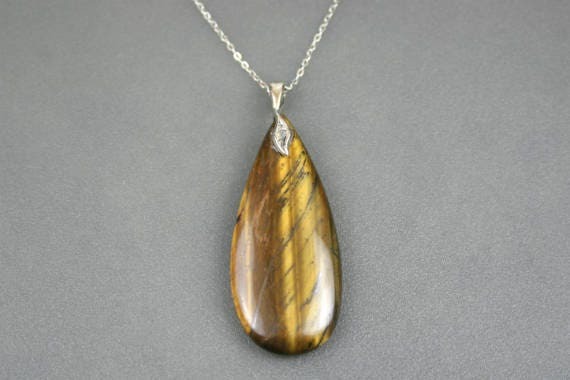 This tigereye stone pendant is a 46 mm x 20 mm x 4 mm teardrop. The top drilled stone is fitted with a antiqued sterling silver bail with a small decorative leaf. 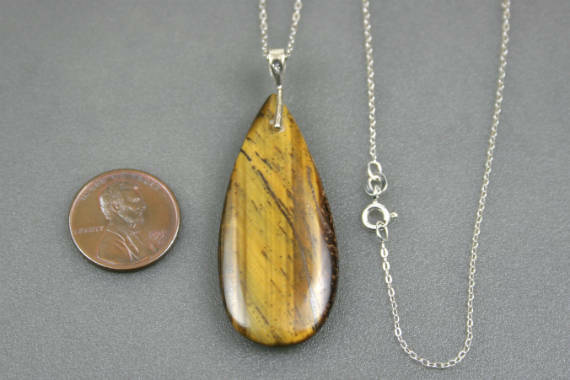 The pendant is attached to a sterling silver chain that is 18 inches long. 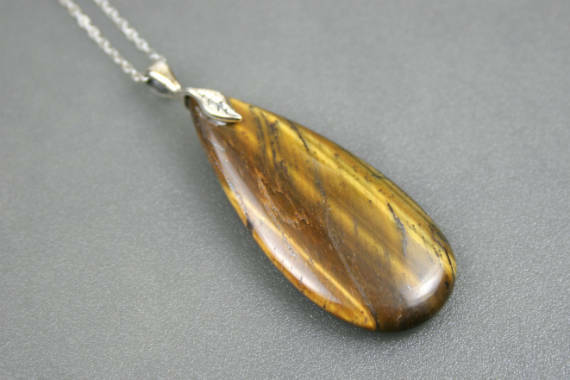 Tigereye is a naturally occurring stone with bands of golden yellow and brown. 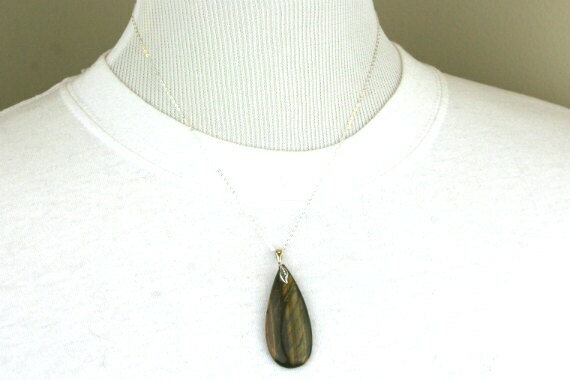 This stone has a natural chatoyancy (or iridescence) that shimmers in the light. 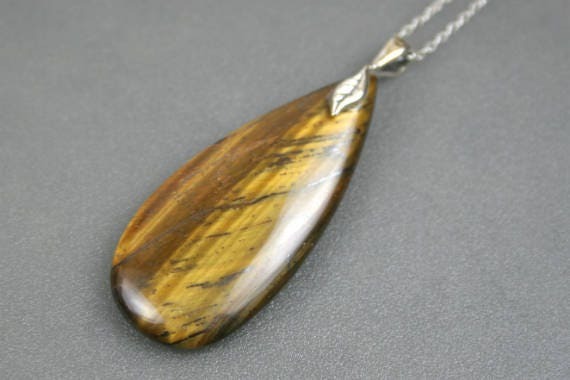 Tigereye is known for promoting protection, creativity, and balance.